Recently a quantitative real-time Nucleic Acid Sequence-based Amplification (qt-NASBA) technique has been developed. This technique detects parasite RNA which is reversely transcribed to cDNA. 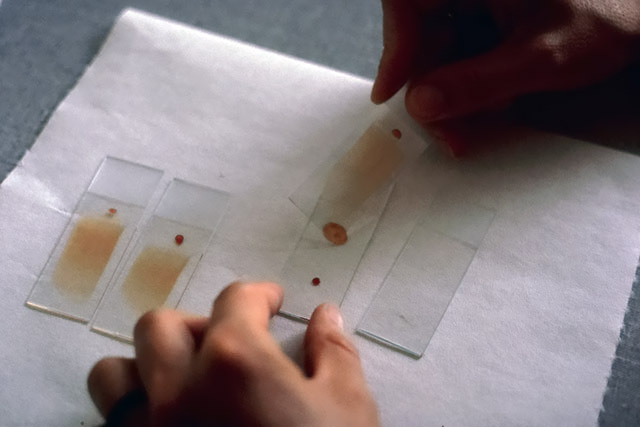 The sensitivity of qt-NASBA is comparable to qt-PCR (detection limit at 20 P. falciparum parasites per ml of blood). However, NASBA is much faster (results in 4 instead of 16 hours). Compared to microscopy, the sensitivity is approximately 1000 times higher!